Losing weight is a tough task to achieve, whether it’s 10 lbs. or 100 lbs. There are hundreds of thousands of articles floating around the Internet on how to lose weight, yet America is still the fattest country in the world. How could this be? If we have all the information that we need in order to get fit, to become healthier, and lose 20 pounds in just a few months – why can’t we do it? The answer lies in our psychology. The human brain operates under a series of rules. These rules are often subconscious and shape the decisions we make every day. These rules are known as habits. We form habits every minute of every day, and we don’t even know it. This is our brains way of saving energy, and making routine tasks, well, routine. But even though habits make our lives easier, they are also the reason we get stuck in unhealthy routines. such as overeating, emotional eating, inactivity, smoking and other unhealthy habits. If losing weight was as simple as knowing the information on where to start, we would all be healthy, fit, slim, and able to run marathons every day. But where we are not. So what stops a person that knows exactly what to do, from actually losing weight. In reality, it’s our ability to change our habits. And understanding the psychology of weight loss is the key to losing weight. 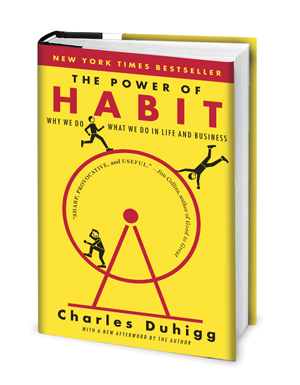 In the book “The Power of Habit” by Charles Duhigg, he reveals that habits are set off by a cue, a response, and a reward. This cue, response, reward cycle is known as the habit loop. It’s what tell tells our brain to perform certain tasks without even thinking about them. And if this loop repeats itself, it’s like adding fuel to the habit fire. Let’s take the action of eating food. Eating is a habit that’s instilled in our DNA as humans for survival. But eating more calories than we need for survival, isn’t. It’s a response that we develop due to certain cues like stress, depression, sight of food or a host of other cues. Once the cue is recognized by the brain, it sets in motion the response and we begin to feel like we need food, even if we don’t. The response is to then reach out and grab the treat to satisfy this need. The reward, is a feeling of satisfaction or fullness. We can also use another example. Let’s use brushing our teeth in the morning. The cue, is when we wake up every morning, we have morning breath, and a furry film that has developed overnight. This cue tells our brain that we need to grab our toothbrush, and scrub off the film that is accumulated overnight. This is the response that is been built into our daily habits from the time that we were toddlers. The reward is silky clean teeth, minty fresh breath, and no film. We have hundreds of these habit loops every day of our lives – some are good, some are bad. But they all require effort, if we hope to change them. I want you to do a quick test for me. I want you to imagine something you do every single day; something that is completely routine that you don’t even have to think about. For example, do you watch TV every night before bed? Do you drink coffee every single morning? Do you chain smoke cigarettes? Now imagine what it would take for you to stop doing this if you wanted to. What would it take for you to stop brushing your teeth every morning if all of a sudden you found out the brushing your teeth was unhealthy. After a lifetime of brushing your teeth every morning, it would be pretty hard to stop right? Well this is the exact battle that goes on in our brains when we try to completely change our lifestyle in order to satisfy our goal of losing weight. Many people were raised eating a certain type of food. Maybe we ate Doritos as a kid for a snack. Or as a treat for hard work, we got to have a slice of cake. Or maybe after school every day we came straight home locked ourselves in front of the TV and watched three hours of television until bed. A long term British study of 17,248 participants found that these routines carryover to adulthood, and become part of our everyday lives. These habits that we have built over a lifetime, act as one of the strongest roadblocks that keep us from achieving desired goal. Changing your environment to include like-minded people around us, will provide the social support we need to make major changes in our lives. Taking small baby steps, which when added up lead to the achievement of our goal, is the best way to stay on the road to change. Identifying and recognizing the main reason we need to change, will make or break our ability to achieve set goals. If a person can instill these three factors into their daily routine, a habit can be changed relatively quickly. Imagine you were trying to quit smoking, but all of your friends and all of your family are smokers. If you have access to cigarettes 24/7, and everyone around you is costly smoking, it’s extremely hard for you to single yourself out and not take part. But if instead, your entire family, and network of friends were all non-smokers, it would be much harder to get a cigarette. You would rarely see anybody smoking. This would make it much easier to put smoking out of your mind. The same goes for weight loss. If all of your friends and all of your family are over eaters, or are lazy and lethargic with little activity, it’s going to be hard for you to get people to go out hiking, or exercise, or go to a healthy restaurant. But if you were to start hanging out with people who want to eat healthy and live more actively, it would be much easier to participate in healthy activities to support your weight loss goals. If you set out on a goal to lose 100 pounds in a year, that’s a very large goal to wrap your mind around. While this is totally doable if you have enough weight to lose, it’s a very lofty goal especially for somebody who is never lived a healthy lifestyle. I know this because I have helped over 1,000 people lose more than 30,000 pounds. The only way to achieve this goal, is to set a series of baby steps that you must live by religiously in order to stay on course. So if you want to lose 100 pounds, you should identify the small steps it takes to get there, or you might only see the giant light at the end of the tunnel, but no railroad tracks to get there. It appears unreachable. But if you look at the things that you do every day that affect your lifestyle, like eating candy or sitting on the couch watching TV, you can identify the cues that set off your bad habits. This allows you to know exactly what situations set off your unhealthy habits, and allows you to plan ways that you can deal with these triggers. So you might set small baby steps to guide you along the way: like only buying healthy foods to stock your cupboards with; or making sure that you exercise at least 20 minutes a day. And you might set small milestones, like losing a half a pound a week to measure your success. The third factor for change is a clear understanding of why you may need to change. You might call this an epiphany. If you need to lose 100 pounds in a year, you need to understand how this is going to help you progress in life. You need to understand that losing 100 pounds will give you more energy, lower health care bills, more opportunity to crush it in life, and to be around for your kids in your 40’s, 50’s and 60’s. Your brain has to understand the benefit from losing 100 pounds. Without this, the first two factors are pointless. Having an epiphany that change has to happen sets the foundation for determination to achieve your goals. It’s the necessary ingredient for any successful journey. So remember, there’s no shortage of information on how to lose weight. The only roadblock is our own minds and habits. Understanding the psychology of weight loss can greatly improve the outcome of someone with such a goal. If we can understand why the need for change is there, surround ourselves with people that can support our goals, and establish small baby steps and milestones to get us or major goal, we can achieve virtually anything we want. Once we have these three factors in place, we can now set up a series of habit loops featuring a cue, response and a reward to ingrain healthy habits in our lives. Do you wish you could develop better habits? 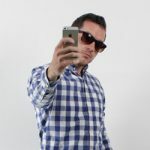 I give exclusive advice and tips every week to my VIP newsletter list. Sign up here.